Need to keep up to 250 people satisfied with a great sounding and highly reliable audio rig? 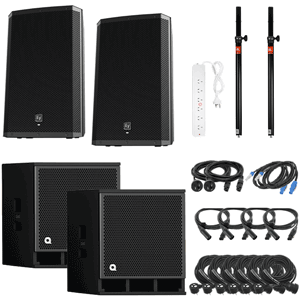 Check out this PA Hire Package! This is exactly what you need if you have a big room to fill and is great for a band with a drum kit.